The UAE issued Federal Arbitration Law no. 6 of 2018 on the 15 May 2018 (the ‘UAE Arbitration Law’). The Law has introduced substantial improvements to the procedure for enforcing arbitral awards. As mentioned in a previous Al Tamimi article “Commentary on UAE’s new Arbitration Law”, the UAE Arbitration Law repeals the arbitration chapter found in Chapter III of the UAE Civil Procedures Law (Federal Law 11 of 1992 as amended) (Articles 203-218). The provisions set out in Chapter IV on the Execution of Foreign Judgments and Chapter V on Execution Procedures (Articles 235-238) of the UAE Civil Procedure Law, however, are still in force. It is important to note that Federal Decree no. 10 of 2017 issued on 28 September 2017 (which amended the UAE Civil Procedure Law in several respects), provides that Articles 5 to 19, 42 to 54, 70 to 83, 125 to 136, 140 to 149 and 219 to 331 of the UAE Civil Procedure Law will remain in force until repealed by the issuance of a Cabinet Decision which will regulate those areas of the Civil Procedure Law. On 9 December 2018, Cabinet Decision no. 57 of 2018, which concerns the Executive Regulation of the UAE Civil Procedure Law (‘Cabinet Decision’), was issued. It is not yet published in the Official Gazette (as at the time of writing this article). Pursuant to this Cabinet Decision, a new set of rules will regulate the enforcement of foreign arbitral awards and accordingly replace those rules set out under Articles 235 to 238 of the UAE Civil Procedure Law. This Cabinet Decision shall come into force two months from its publication in the UAE Official Gazette. This article discusses the enforcement of foreign arbitral awards in light of the UAE Arbitration Law and the Cabinet Decision. We will also look at the legal framework for the enforcement of foreign arbitral awards in Egypt due to its similarity to the UAE framework (both countries have adopted the UNCITRAL Model Law and have similar civil procedure laws), and draw some lessons for the enforcement of New York Convention awards, which will also likely benefit from the new rules introduced by the Cabinet Decision. a copy of the minutes of deposit of the award in court. Accordingly, it is clear that the UAE Arbitration Law has adopted an expedited regime for the enforcement of arbitration awards by way of filing a petition to the Chief Justice of the Court of Appeal, or to whomever he delegates to perform that function. This petition should be disposed of within 60 days from the filing date. the ratification/enforcement order, once issued by the Chief Justice or whomever he/she delegates, is enforceable with immediate effect and shall enable the award creditor to get the award stamped by the execution formula and take all execution procedures against the award debtor. This is because the ratification order is legally deemed an ‘Order on Petition’ which is immediately enforceable by operation of law according to Article 228 of the UAE Civil Procedures Law. In view of the above, it is clear that the UAE Arbitration Law has provided the arbitration community with an efficient and expedited regime for the enforcement of arbitration awards. Judgments and orders issued in a foreign country may be ordered to be enforced in the UAE on the same conditions as prescribed in the laws of that country for the enforcement of similar judgments and orders issued in the UAE. 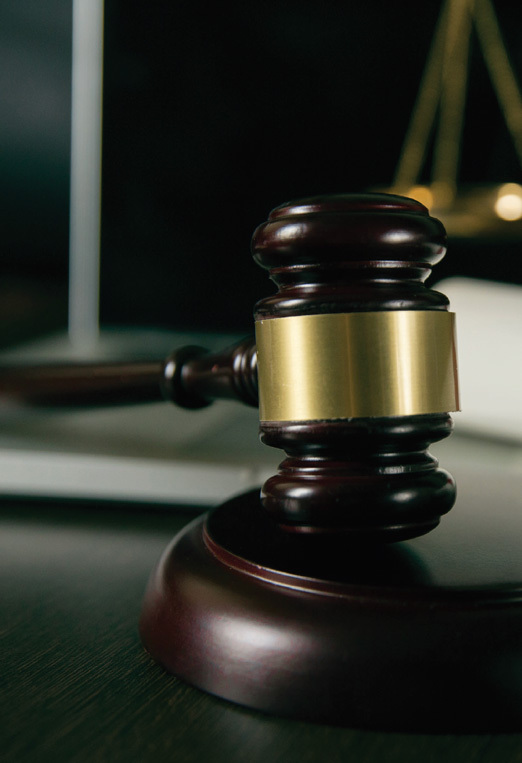 That the UAE courts do not have jurisdiction in the dispute in which the judgment has been given or the order made, and that the foreign courts which issued it have jurisdiction therein under the international rules for legal jurisdiction prescribed in their laws. That the judgment or order has been issued by a court having jurisdiction under the law of the country in which it was issued. That the opposing parties in the case in which the judgment was given were summoned to appear and duly appeared. That the judgment or order has acquired the force of a fait accompli under the law of the court which issued it. That it does not conflict with a judgment or order previously issued by a court in the UAE and contains nothing in breach of public morals or order in the UAE. Article 236 provides that Article 235 is to apply to ‘arbitration awards issued in a foreign country’ and adds that such awards must be issued in an arbitrable matter according to the UAE Laws and must be enforceable in the country in which it was issued. It is essential to note that Article 238 also provides that ‘The rules laid down in the foregoing articles, including Articles 235 and 236, shall be without prejudice to the provisions of conventions between the UAE and other countries in this regard. As a result of the foregoing, application for the enforcement of foreign awards, which are described under Article 263 as those which are ‘issued in a foreign country’, shall be filed with the Court of First Instance following the usual litigation procedures. This procedure will usually take months, if not a year, to obtain a first instance judgment which will not be immediately enforceable, if appealed to the Court of Appeal. Further, the court fees to obtain such judgment (AED 40,000 in the case of the Dubai Courts), are substantially higher than those fees applicable for the enforcement regime for domestic awards adopted by the UAE Arbitration Law (approximately AED 320 in the case of the Dubai Courts). In light of the foregoing, it is clear that there is a difference between the two regimes. The UAE Arbitration Law affords awards, falling within its scope, an efficient and expedited regime that enables a successful award creditor to enforce an award within a few weeks with minimal court fees. On the other hand, the procedure under the UAE Civil Procedures Law, can take anywhere up to one or two years in order to obtain an enforceable judgment to recognise a foreign arbitration award with substantially higher fees involved. So which of these regimes should govern the enforcement of awards falling within the scope of the New York Convention, i.e., New York Convention awards? The New York Convention (and an Egyptian Court of Cassation judgment dated 10 January 2005), can provide guidance on the issue pertaining to which law should apply to the enforcement of foreign arbitral awards in the UAE. In an Egyptian Court of Cassation judgment (Appeal 966, J.Y. 73 (2005) dated 10 January 2005), the court held that a foreign arbitral award should be enforced in the same way as a domestic arbitral award by filing a petition to the Chief Justice of the Court of Appeal in accordance with the Egyptian Arbitration Law, which is quite similar to the UAE Arbitration Law. The court held that, since the enforcement mechanism for awards prescribed under Egyptian Arbitration Law is less onerous than that contemplated by the Egyptian Code of Civil Procedure, the provisions of the Egyptian Arbitration Law should govern the enforcement of foreign awards. In view of the foregoing, it is likely the UAE courts may consider the above ruling when enforcing foreign arbitral awards and afford those awards, which do not fall under the UAE Arbitration Law, the same expedited regime adopted by the UAE Arbitration Law according to Article III of the New York Convention. This will ensure that more onerous conditions or higher fees are not imposed on the recognition or enforcement of foreign arbitral awards. The Execution Judge is entitled to request the supportive documents to the petition before issuance of his decision. Article 85 of the Decision to apply to the arbitration awards issued in a foreign country and such awards must be issued in an arbitrable matter according to the UAE Laws and be enforceable in the country where it was issued. articles 85 and 86 of the Cabinet Decision may be seen, in some areas, as providing more flexible conditions for enforcement of foreign arbitration awards than those set out in the New York Convention. An interested party can benefit from these better conditions according to Article 7 of the New York Convention. It is clear from the above that the UAE Arbitration Law has significantly improved the enforcement regime of the arbitration awards falling within its scope in the UAE, including, we believe, the New York Convention. 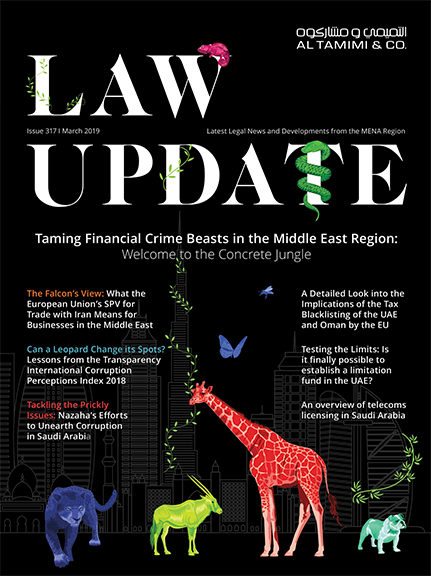 It is our view that the UAE courts will likely take the approach of the Egyptian court of cassation mentioned above and afford those foreign awards, the expedited regime afforded by the UAE Arbitration Law instead of the enforcement procedure set out in Articles 235 and 236 of the current UAE Civil Procedure law. The Cabinet Decision will also provide a more efficient and expedited regime for the enforcement of foreign arbitral awards. Once Cabinet Decision comes into force, there will be no requirement to apply the regime set out under the UAE Arbitration Law to the enforcement of foreign arbitration awards on the basis of Article 3 of the New York Convention. Instead, the enforcement of foreign arbitral awards will be governed by the expedited regime set out in the Cabinet Decision to the extent it does not contradict with the New York Convention. Al Tamimi & Company’s litigation and arbitration teams regularly advise on the enforcement of arbitration awards and judgments. For further information please contact Mosaab Aly (m.aly@tamimi.com).